NMM 3368. Viola by Gasparo Bertolotti da Salo, Brescia, before 1609. Ex colls. 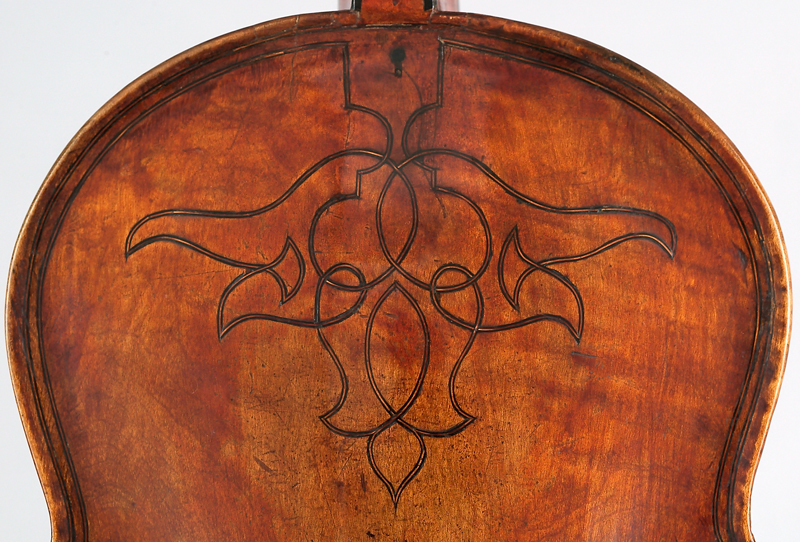 : Joseph Joachim; Joseph Vieland. 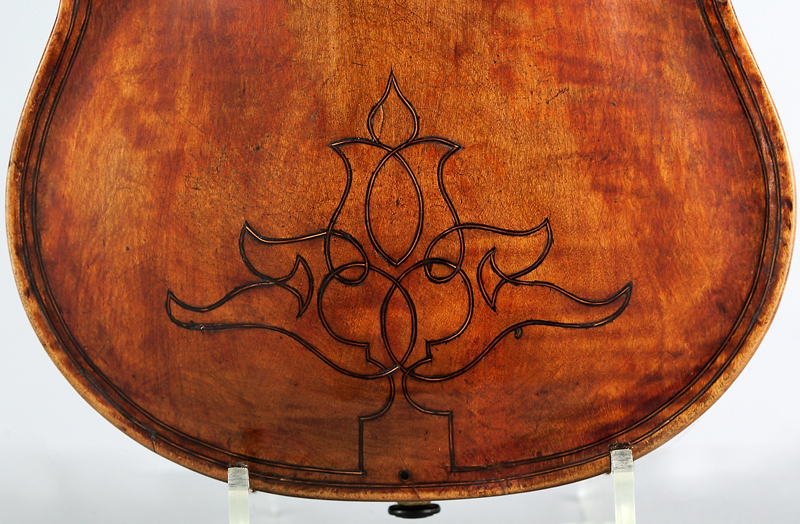 A magnificent instrument, double-purfled, with geometric inlay on the back. 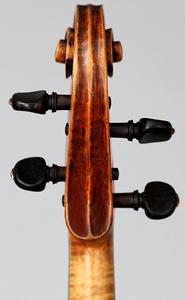 Owned about 1880 by Joseph Joachim (1831-1907), the Hungarian violinist, friend of Brahms. Back length: 44.6 cm. Witten-Rawlins Collection, 1984. Lit. : "N.Y. Times Carries Story . . . Purchase of Witten Collection Attracts Widespread Attention," Shrine to Music Museum, Inc., Newsletter, 11, No. 4 (July 1984), pp. 1-3. 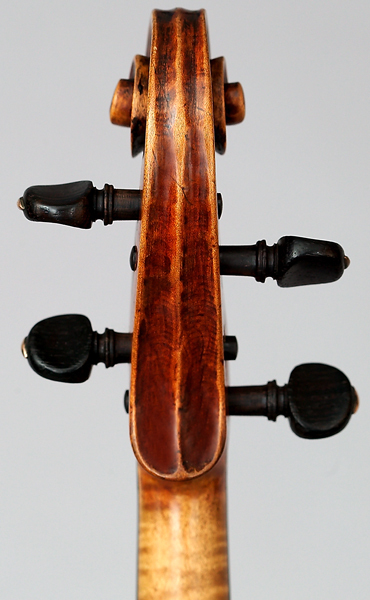 Roger Hargrave, "Preservation Order," The Strad 96, No. 1142 (June 1985), p. 127. 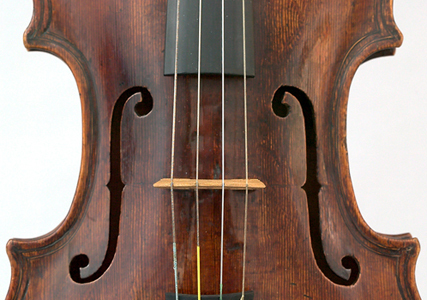 André P. Larson, The National Music Museum: A Pictorial Souvenir (Vermillion: National Music Museum, 1988), p. 48. 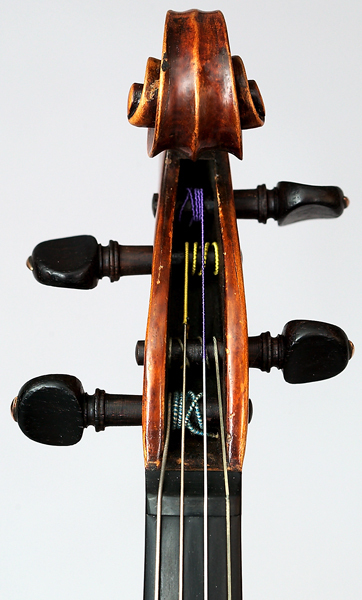 Maurice W. Riley, The History of The Viola, Vol. II (Ann Arbor, Michigan: Braum-Brumfield, 1991), pp. 18 and 20. Kurt Kauert, Vogtländisch-westböhmischer Geigenbau in vier Jahrhunderten (Schneeberg: Sächsische Landesstelle für Volkskultur, 2006), p. 20.